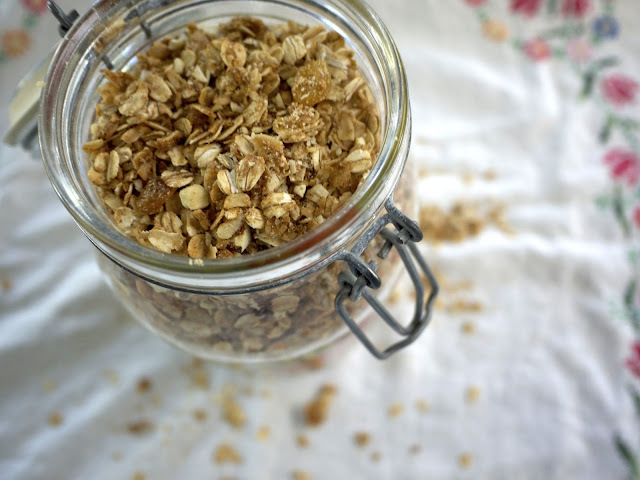 I am an avid granola lover. However, I am not a lover of added sugars. 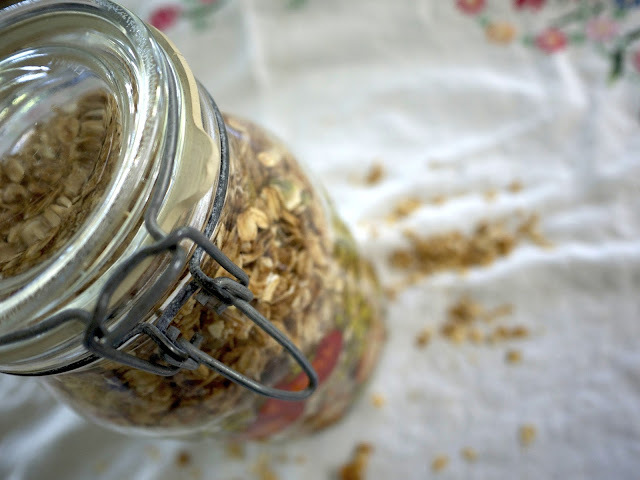 Thankfully, making granola is SUPER easy and you to control how much of each ingredient you use. 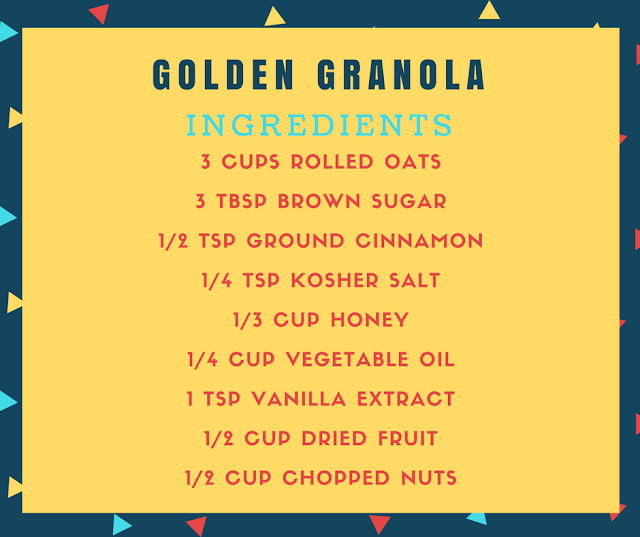 Now I can feel incredibly confident sprinkling this golden goodness on my littles greek yogurt for a sweet and crunchy treat. 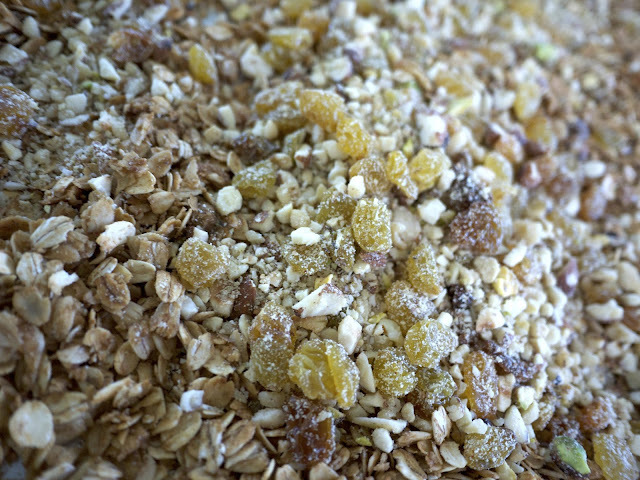 I love this recipe and always double everything BUT the sugar. 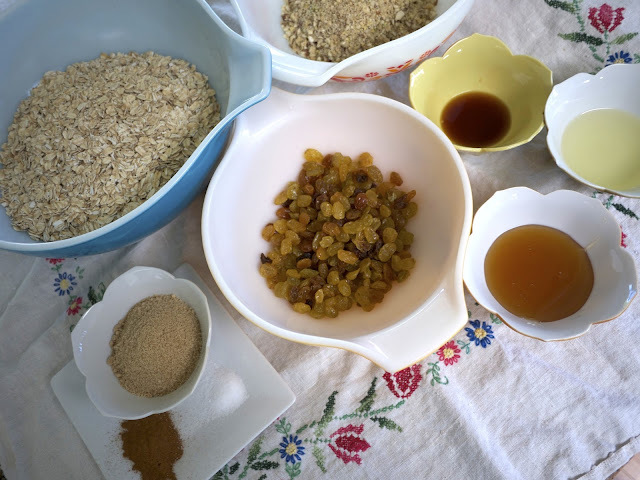 The honey makes it sweet enough so there is no reason to add more brown sugar...unless of course you want to. No judgement from me! Preheat oven to 300 degrees. Line two edged baking sheets with parchment paper and set aside. 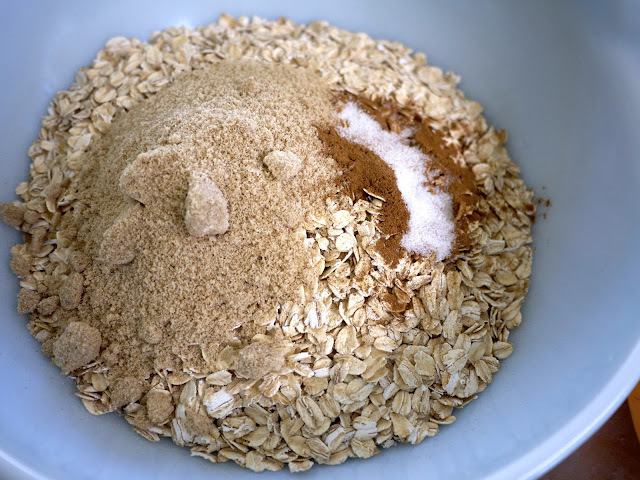 In a large bowl, combine oats, sugar, cinnamon and salt. 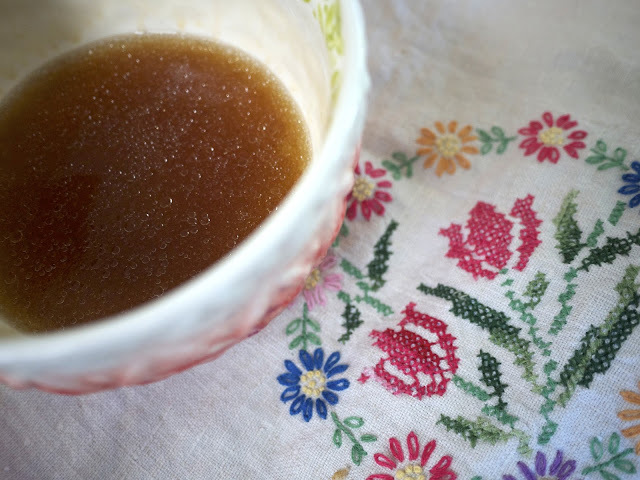 In a separate bowl, mix honey, vegetable oil and vanilla. 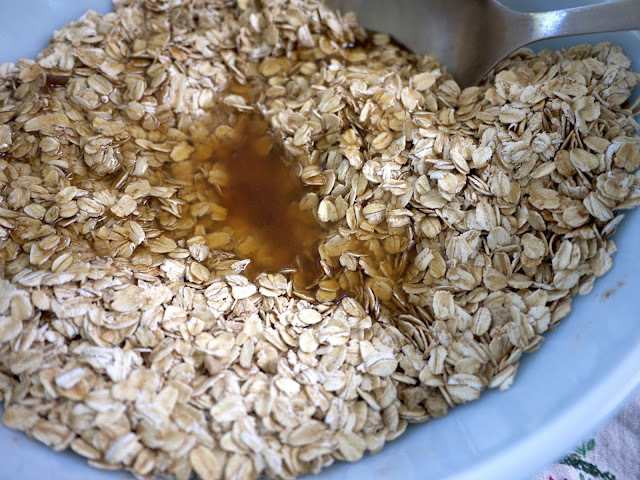 Pour the honey mixture onto the oats mixture and stir to coat evenly. 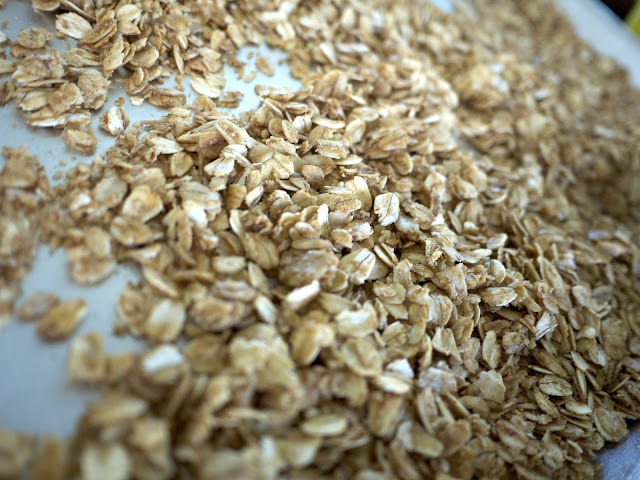 Spread out the covered oats thinly across your baking sheets. 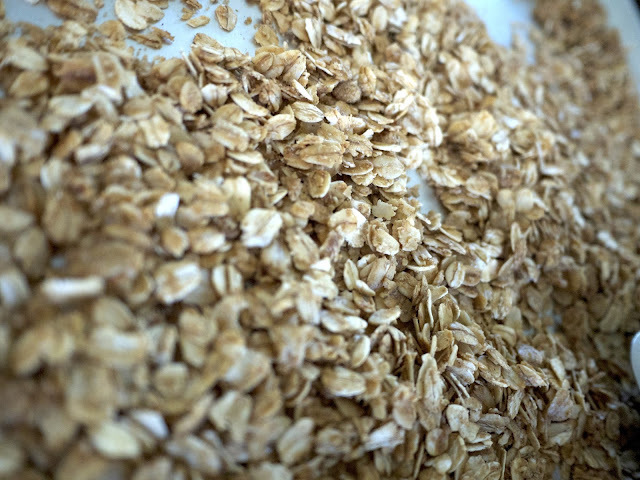 Bake for 15 minutes, then use a spook to stir oats on the baking sheet, bake for an additional 5 to 15 minutes until golden brown. 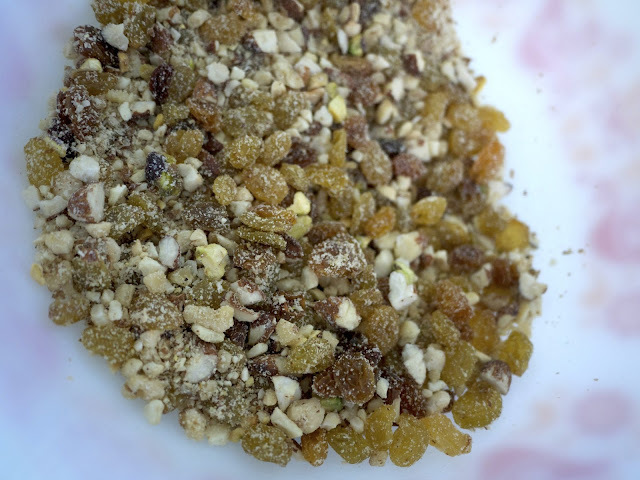 For this recipe I used golden raisins and a chopped nuts mix (walnuts, almonds, pistachios, cashews). 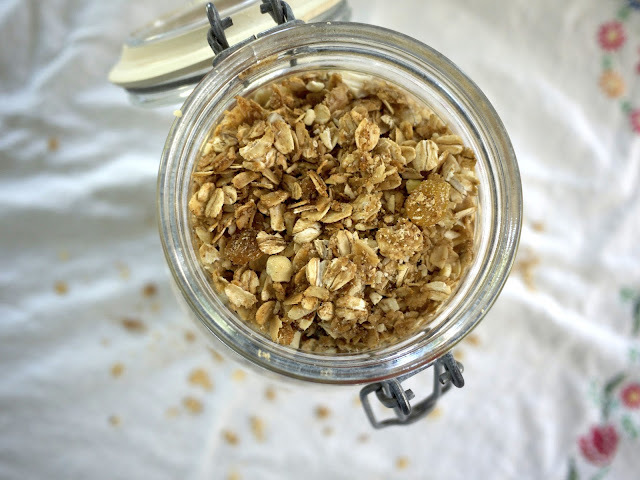 When it is all mixed up and cooled, store in an air tight container and enjoy morning, noon and night! 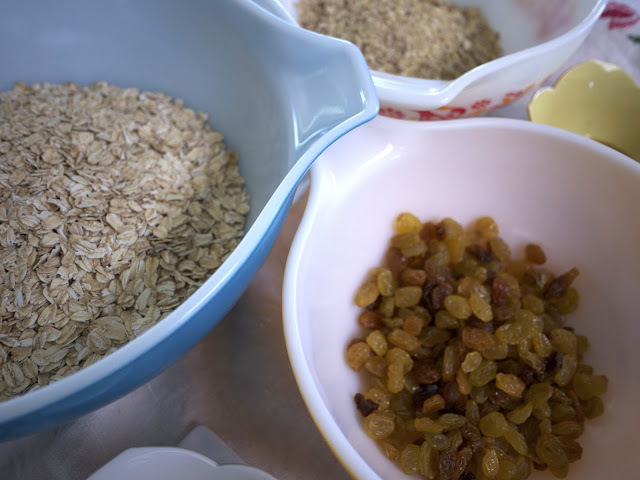 This recipe can be modified to include your favorite fruits and nuts and makes a tasty go-to treat. Lately, we have been all about dried blueberries! As I said before, I am always doubling this recipe which means I am able to share. 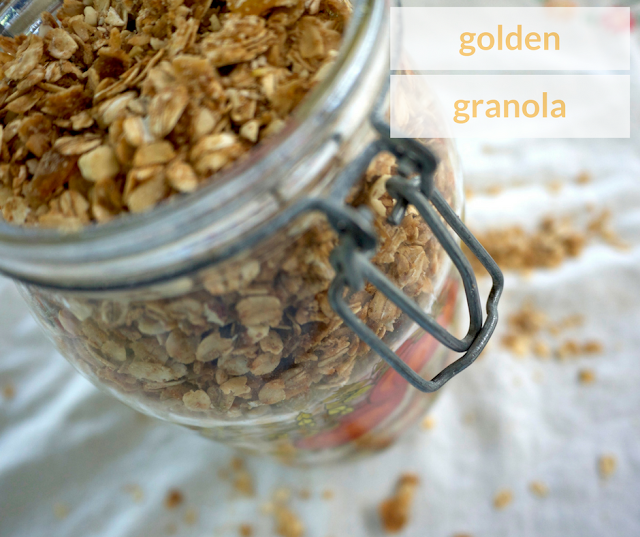 This granola makes the perfect start of school teacher gifts. 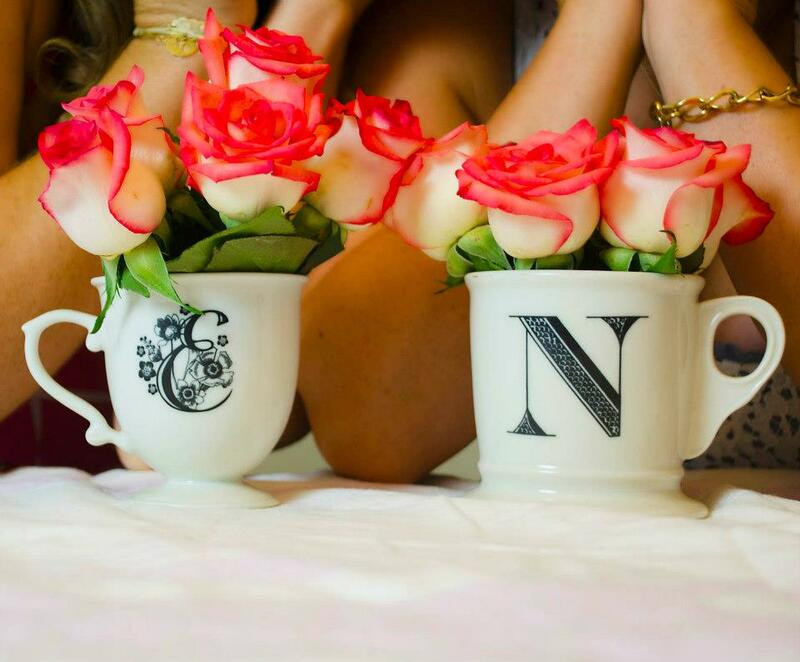 The boys just gave them to their preschool teachers this week!